Originally built in 1914 as a private residence, Yamashiro (“Mountain Palace” in Japanese) took its inspiration from the classical Asian art and architecture that was the passion and business of its original owners the Bernheimer brothers. Over its 102-year life, it’s taken on many identities including a brothel and a boarding house, before becoming a private cocktail lounge for the golden era of the Hollywood elite in 1963. A full-service restaurant soon followed, ultimately catapulting Yamashiro into a world-famous dining destination in the 1970s and ’80s. The property’s regal Asian influences and breathtaking, 180-degree views from downtown Los Angeles to the Santa Monica shore have been featured in popular films such as Memoirs of a Geisha, Gone in 60 Seconds, and Kill Bill, as well as numerous travel shows. Yamashiro Hollywood is launching a new Sunday Brunch buffet this Mother’s Day, May 14, from 10 a.m. to 3 p.m. The iconic restaurant, which previously only opened for dinner, will continue brunch service year-round every Sunday from 11 a.m. to 3 p.m.
A longtime Hollywood favorite of locals and travelers alike for celebrating special occasions, the scenic restaurant’s brunch service will feature a buffet with multiple themed stations with dish selections including crab legs, shrimp cocktail, oysters, prime rib, chicken and waffles, omelets, build-your-own salads and cold favorites like smoked salmon and yogurts. For dessert, guests can choose from a variety of danishes and cupcakes. All moms will receive a complimentary glass of champagne on Mother’s Day. Brunch starts at $29 for kids and $50 for adults. A $65 option will include brunch and bottomless mimosas, Bloody Marys or bellinis. Yamashiro is located at 1999 Sycamore Ave. and is open from 5-11 p.m. on weekdays and 5 p.m. to midnight on weekends, in addition to Sunday Brunch service. Reservations can be made through OpenTable, via phone 323.466.5125 or by email info@yamashirohollywood.com. My mom and I had the chance to visit a wonderful Thai restaurant in Culver City named Natalee Thai. This restaurant is casual but visually beautiful and modern. The food is affordable but the price doesn’t compare to the quality and love presented. I felt totally comfortable in leggings and flip flops while being served incredible food. 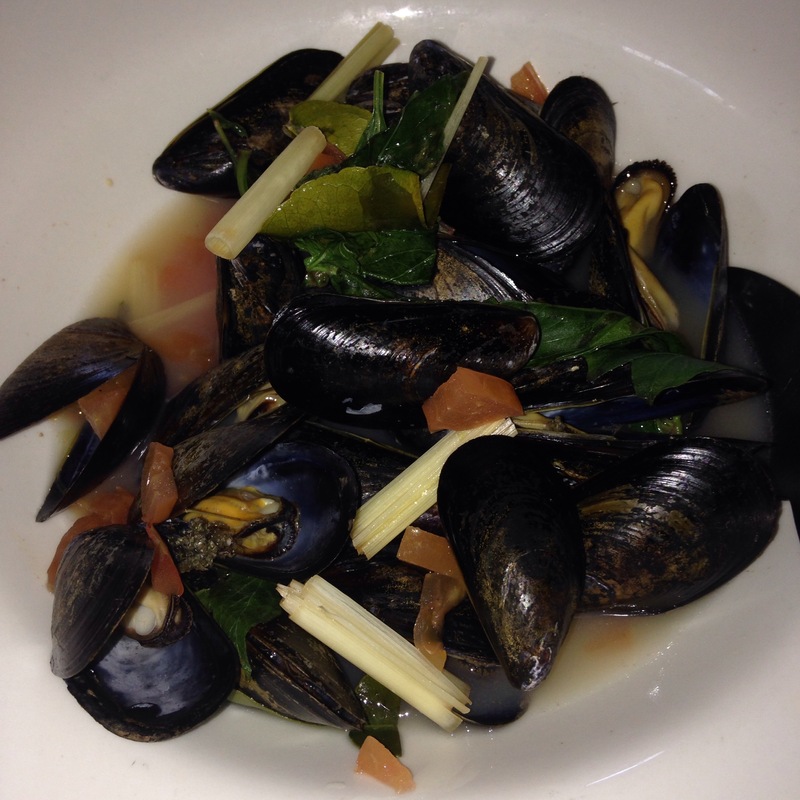 I ordered the Won Ton Soup and the mussels appetizer and was full in the best way possible. Although, I ALWAYS have room for dessert. 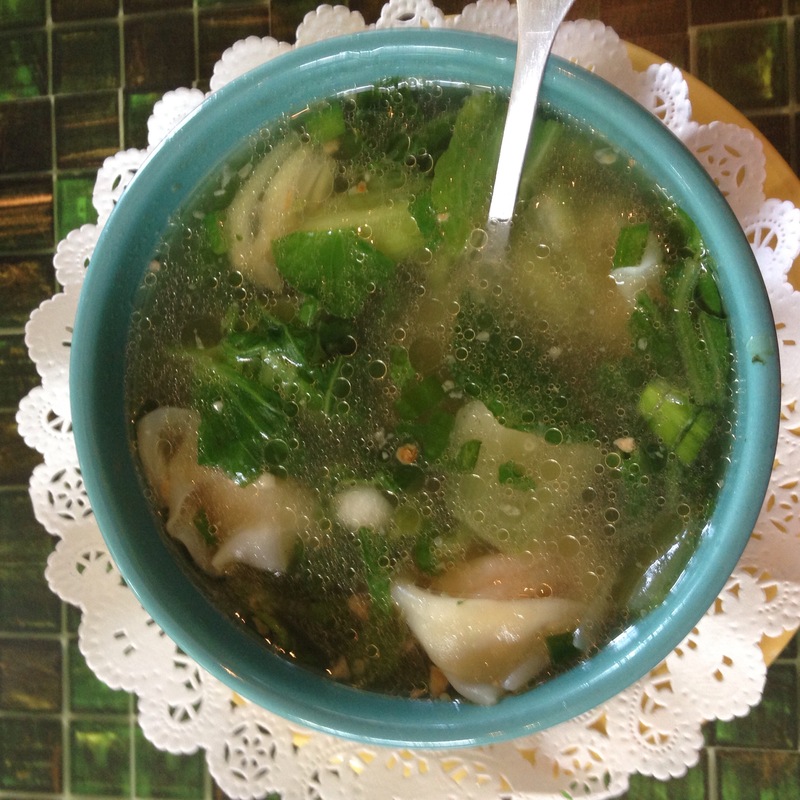 The soup is delicious and was probably the best Won Ton soup I have EVER had. Before I start talking about the mussels, I would like to say that I have never had mussels before. After trying these, mussels are my favorite food! And, yes, I ate every single mussel in that dish. 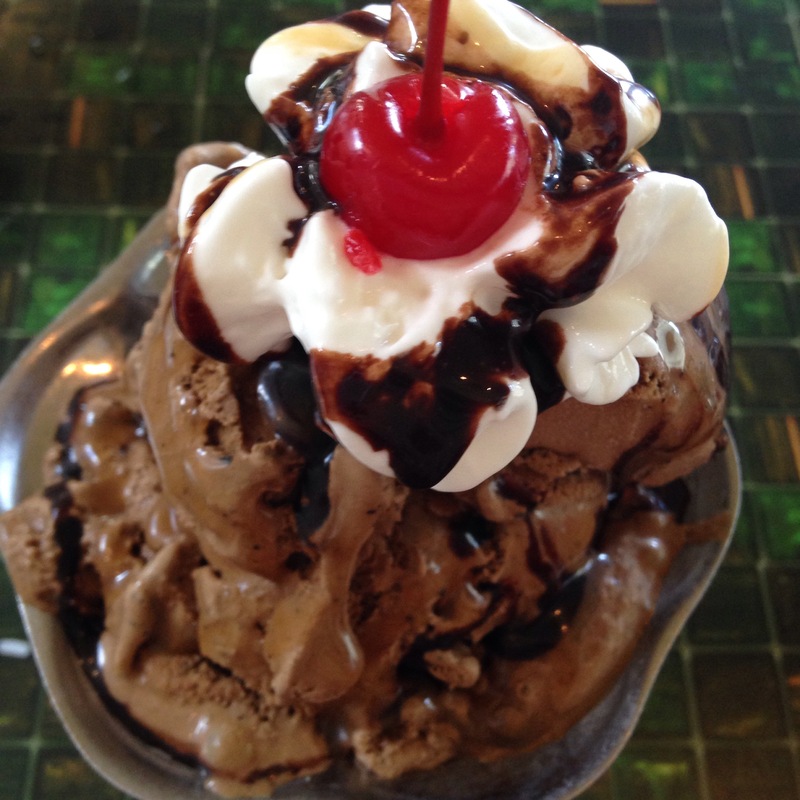 To top of one of the most flavorful meals of my life, I ordered Espresso ice cream and yes it is as good as it sounds. 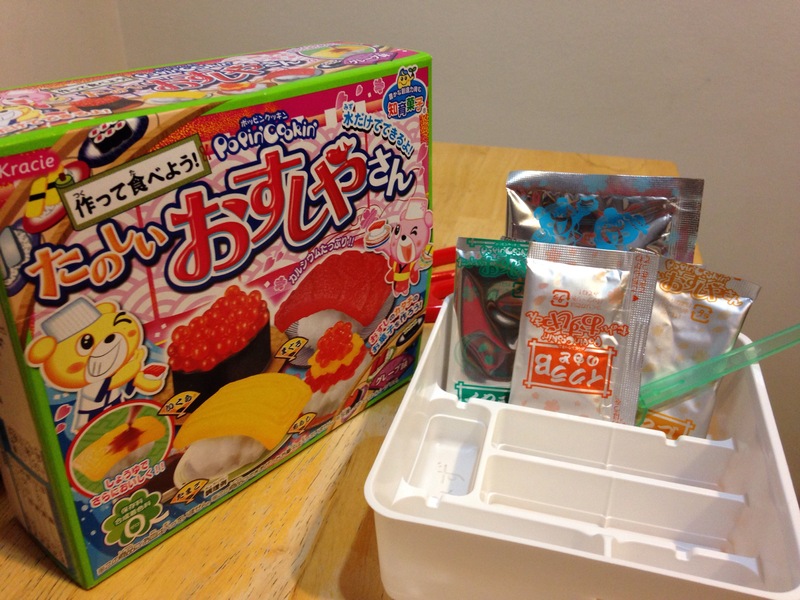 My friend Katie and I decided to experiment with the Sushi edition Popin’ Cookin’. 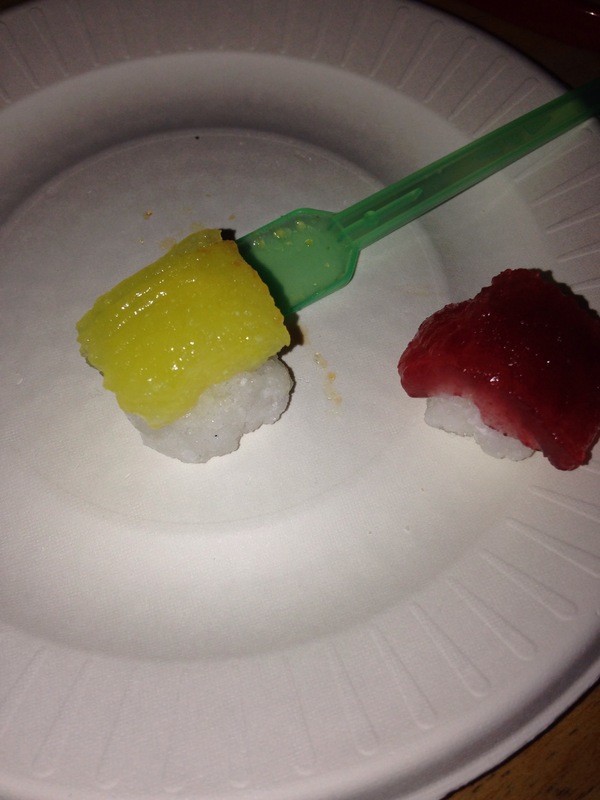 Like most of the Popin’ collection, the sushi package is sweet and candy flavored rather than savory and realistic. It was a BLAST making all the different parts of the sushi and then putting them all together. 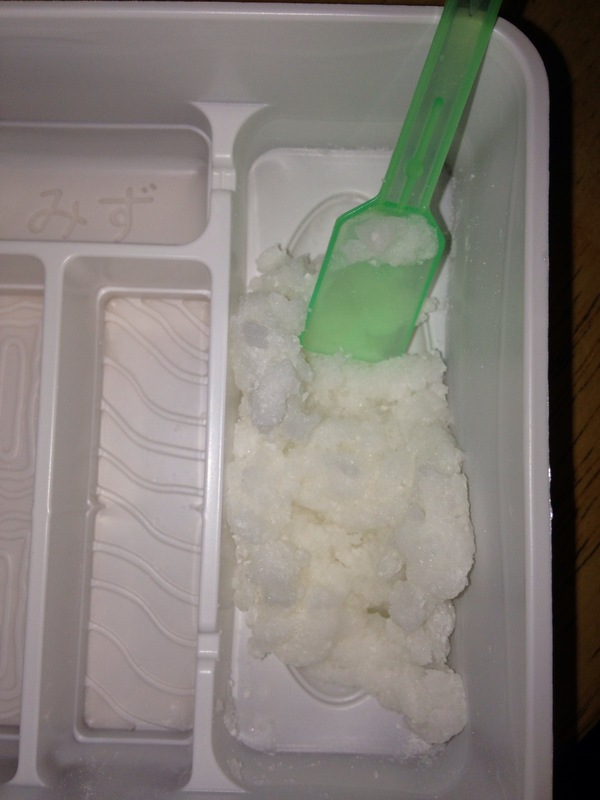 The kit comes with a mini mixing spoon, the mixing “bowls”, “seaweed”, and powders to make rice, fish, and fish eggs. 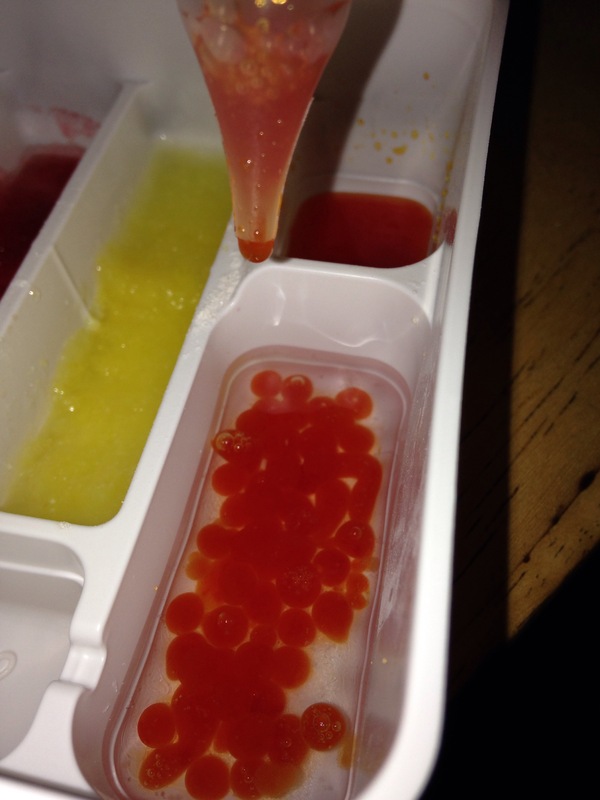 My favorite part of creating candy sushi was making the tiny fish eggs. 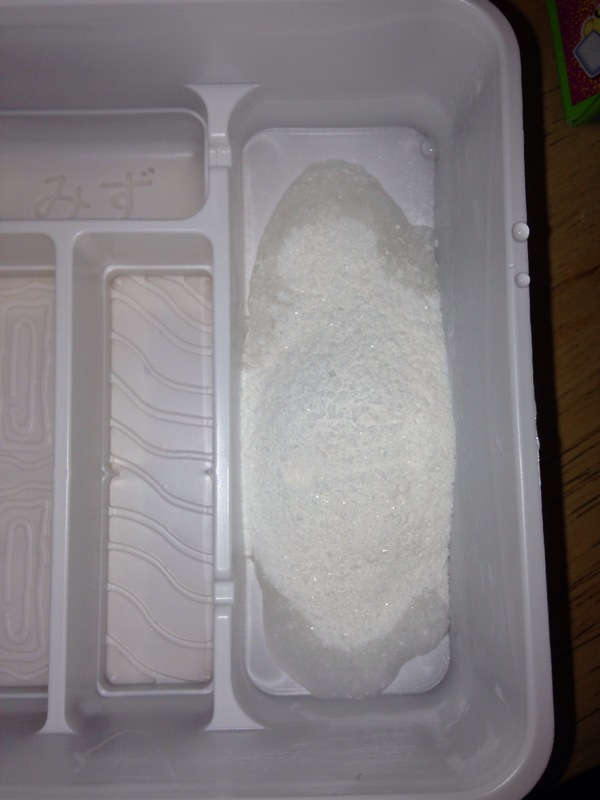 You mix two powders with water separately and then with an eye dropper, you drop small portions of one liquid into the other causing it to instantly solidify in balls. Then you can scoop the eggs out of the solution and place them as a final touch on top of the rice and seaweed. 2. Take your time. Buy a couple boxes and share them with your friends. Making this fun mini foods isn’t about the taste, it’s about the experience. 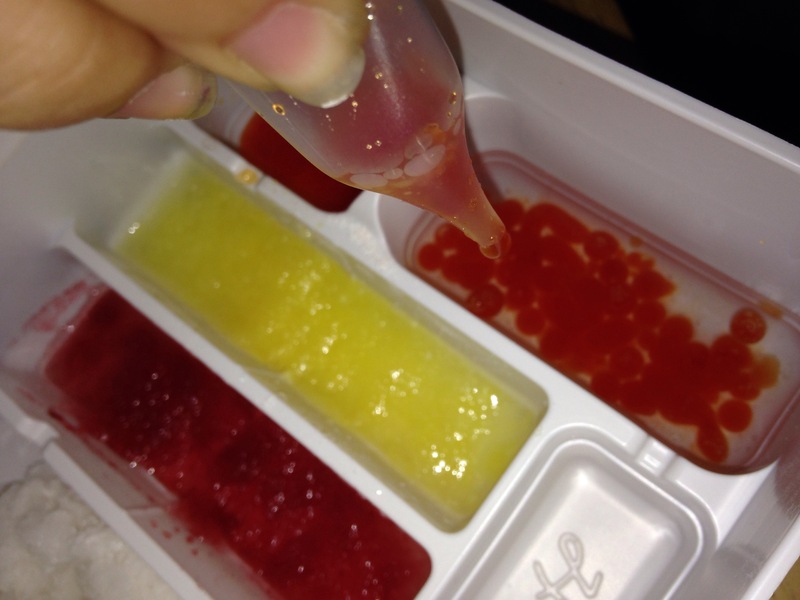 Take your time and have fun watching each other’s reactions as you take your first bites. Del Real Foods Unboxed on EncinoMom. We’ve got an awesome prize package to offer you from Del Real Foods! It’s a Party In A Box! We received one of these at EncinoMom headquarters and immediately ordered up an impromptu fiesta for a few friends. The Tacos Al Pastor kit contains seasoned meat, tortillas and enough salsa for 20 street tacos. Sold in the refrigerator section, these dishes are easy to heat and eat. You can sample some of these tasty offerings yourself as Del Real Foods gives tastings this month, making the rounds of Costco stores in the West (including California, Oregon and Utah). Check their website for dates and details. The cheese Pupusas and Tamales were also a hit with our Vegetarian guests. Del Real Foods have been serving up fresh, flavorful and authentic Mexican meals since 2003. Their gluten, trans fat and MSG free, products are fully cooked and ready to heat and serve. We heated tortillas in the oven (in a clay tortilla warmer), pupusas on the stove top, tamales steamed in the top of the rice cooker and we used a cast iron skillet for the seasoned taco meat. Everything was ready to go in a matter of minutes. We mixed up a batch of Margaritas for our adult guests and served limeade and horchata to the kids. I tossed some greens with Persian cucumbers, scallions, tomatoes, a sprinkling of Taco Seasoning from Ground 2 Table and a light citrus dressing (homemade) for a refreshing side salad. Friends brought tortilla chips and a ripe avocado and we had more food than we could eat! Tell us which differences you found in our Feliz Cinco de Mayo pics! This prize box comes with a colorful blanket with moisture resistant backing to spread out on the grass, sand or picnic table. When you’re finished, it folds back up into a neat bundle with a carrying handle and zippered pouch. The pouch is large enough to hold your phone, keys and sunglasses, or maybe some napkins and utensils. There is also a folding fabric cooler to carry your food and beverages. For this giveaway we’ve created the two pictures above for you to compare. Can you spot the differences? Here’s a hint: No tequila is included in the giveaway! Speaking of tequila, you might like to know that the Angels pictured below are searching Los Angeles’ neighborhoods for Latino Angels in Training who are contributing to their communities with selflessness and virtuous service. Gran Centanario Tequila will be honoring these Angels In Training at a special VIP event on May 19th. That’s also the day that we will announce the winner of this Party In A Box! At Blue Plate Taco in Santa Monica for the launch of Angels in search of LA’s Angels In Training! OMG. At EncinoMom, we received this amazing array of mixes, seasonings and toppings for brunch from our friends at Urban Accents. I’m thrilled to be able to share this with you, too! This Brunch Collection is perfect for gifting. For Mother’s Day, we recommend you order the box early and fete Mom with brunch in bed! The directions are easy to follow and would be fun for Dad and the kids to deliver foolproof dishes of scumptiousness and love to Mom on her big day. You’ll need a few ingredients on hand to create these dishes, but chances are you have them in your fridge already. For example the Frittata Mixes require eggs, the Coffee Toppers require coffee. When I cooked up the Mediterranean Spinach Frittata, I added Feta Cheese and garnished it with a dollop of Greek yogurt and fresh herbs from my garden. It seems obvious, but I thought I’d spell it out, just in case. Bread, butter, milk, oil, eggs, a little cheese, coffee and water ought to cover all your bases. The decadent contents of the Brunch Collection gift box would also be brilliant for sending to friends warming their first home, perfection for Newlyweds and new Moms, too. I think this would make a fabulous thank you gift. Can you imagine receiving this from your Realtor, just in time to make breakfast the morning after escrow closes? This collection might be just right as a class gift for a special teacher, coach or classroom aide. Sure to kick off their Summer feeling appreciated and adventurous as they explore new taste horizons. The collection retails for $49.95 and includes a stack of 3 coffee toppers (Hazelnut, Cinnamon & Cocoa), 2 French Toast Drizzles (Sea Salted Caramel and Chocolate Cheesecake), 2 Frittata Mixes (Mediterranean Spinach and Southwestern Jalapeño) and 2 Flapjack Mixes (Potato Cheddar and Chive and Ginger Carrot Cake). You can also purchase these items individually. I’ve included a couple of links to these products on Amazon for your convenience. There are additional flavors available there as well, like Blueberry Lemon Lavender Flapjack Mix which sounds Heavenly to me. The Coffee Toppers, Frittata Mixes and French Toast Drizzles are Gluten Free. All of the products boast no GMOs and are made in small batches from all natural ingredients. The perfect combination of savory and sweet for slow starting, luxurious weekend mornings, you will love giving this gift to yourself or someone else. With a little luck, you may be invited to enjoy the good eats when you give this as a gift! Enter today for a chance to win. It’s our way of saying thanks for being a loyal subscriber. You can probably tell that the photos aren’t their normal size. These photos weren’t taken with Snapchat. 😁 This photo is actually my favorite picture of my mom. I think it captures her happiness and sirenity. This Easter was by far the best as we were joined by our close friends who I met before I was born. I have to say I do enjoy watching my dog play with his new bunny stuffed animal. This year, I have learned that you may not be able to choose your blood, but you can choose the people you surround yourself with. You may as well surround yourself with people who will laugh with you at your best moments and cry with you at your worst. Believe me when I say that it is wise to stick with people who make you happy and don’t bring you down. Anyway, shout out to my mom for making an incredible feast! Happy Easter Sunday y’all! In complete honesty, my favorite thing about Snapchat is seeing the temperature or my own speed. So I pretty much took a picture of nothing and watched my speed increase and decrease as my posse and I walked to yogurt land. You are probably imagining a group of obnoxious teenagers strutting down the middle of the road and although that is much more extravagant and creative than reality I should probably put your mind at ease. My posse included my mom, dad, Toby (my pup), Rico (my neighbor’s pup), and myself. We went over to the center of Encino where we stopped at Wells Fargo and Yogurt Land. I cashed my Easter check. (Shoutout to the best Grandpa around, my Papa.) Then, we stopped for some fro yo. Since I just received $50, I decided to do some serious online shopping. Once my items arrive, I may be able to snap a picture and include them in my next SSOTD. Goodbye for now. Today my dad and I spent the whole day together. We went shoe shopping. The original plan was to get Converse and running shoes. However, when it took us seven stores to look for running shoes to peak my interest, we just decided to purchase Timberland Boots. ﻿After our long shoe journey, we went home, kicked up our feet, and started watching corny horror movies. Sorry Friday The 13th Part 2. Anyway, the above picture that you may or may not have recognized is a picture of my favorite beverage. Unfortunately, coke is a bad habit I have yet to shake. Comment below any guilty pleasures you are trying to get rid of. Okay well, I will see you next time.